Caribbean Airlines is getting long leases on four new Boeing 737 MAX 8 aircraft it has been announced this week. The airline will start to get these new aircraft starting in the fourth quarter of 2019 through 2020. Caribbean Airlines started in 2006 and currently operates more than 600 weekly flights to 20 destinations to and from the Caribbean and North and South America. The airline's fleet is comprised of Boeing 737-800 and ATR 72-600 aircraft. Jointly owned by the people of Trinidad and Tobago and Jamaica, Caribbean Airlines is headquartered in Trinidad and Tobago, with an operational base in Jamaica. 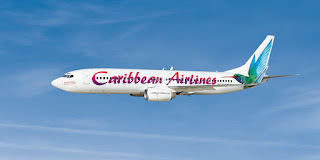 Caribbean Airlines is an authentic Caribbean airline which provides a genuine Caribbean experience on all its services.